Welcome to Gary Weller Painting! Started in the small town of Gilbertsville, PA in 1978, our family run business has painted over 20,000 homes throughout the Delaware Valley in the past 30 years. We offer a full list of references & testimonials for our customers to view at their convenience. When you contact us, you talk to one of the family! It's how we started and why we're a success today! 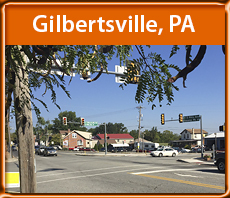 Learn more about our services or call us for a free consultation at 610-367-4840 for Gilbertsville PA.
We are Fully Insured and always offer Free Estimates. We are an EPA Lead Safe Certified Firm.